I have been practicing Massage Therapy for 10 years. 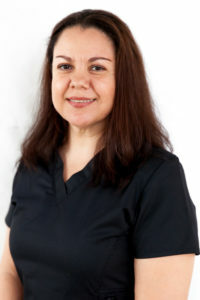 I have been passionate about my career since I first became a massage therapist. My goal is to give a customized therapeutic massage to each patient. I truly believe in the importance of communication, understanding the needs and expectations, and most importantly to improve the wellness of each patient in a positive way. It is an honor to have a moment in their journey. I was born in Anaheim and raised in San Diego. I later decided to moved back to Anaheim to be close with my family. I am fluent in both English and Spanish. In my free time I enjoy painting, reading and spending time with family and friends.